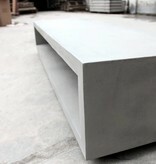 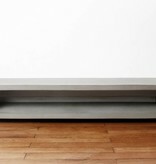 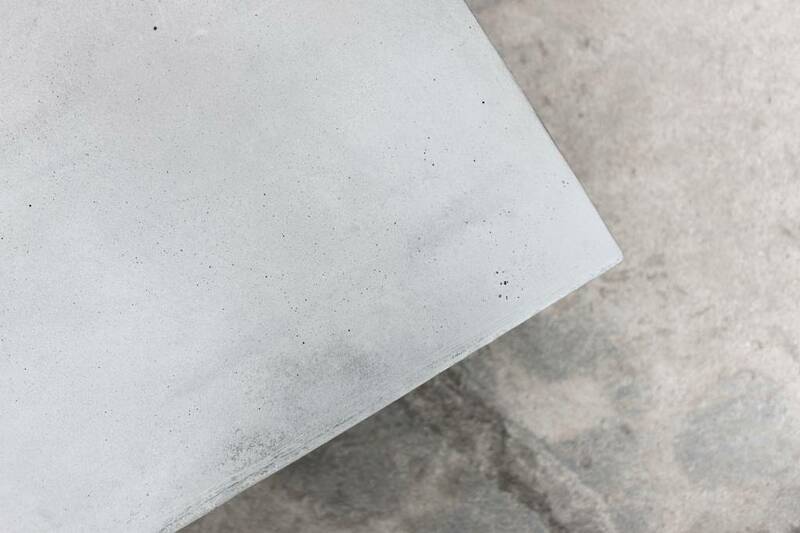 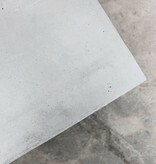 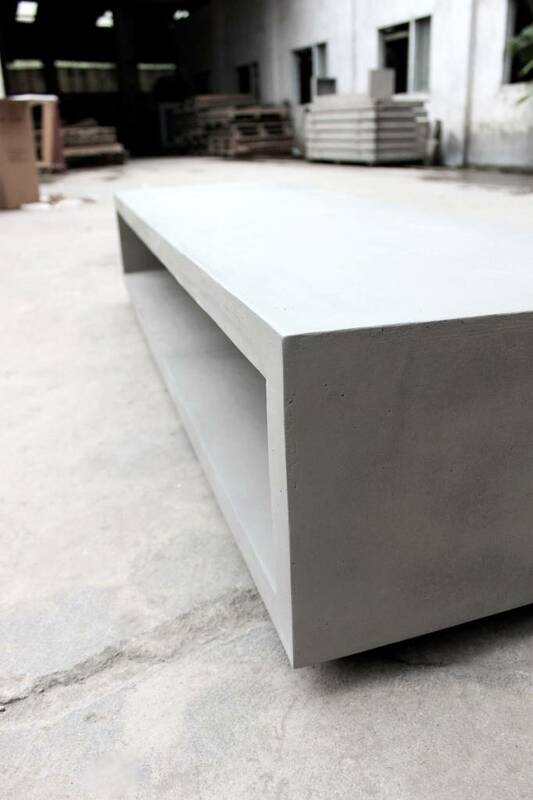 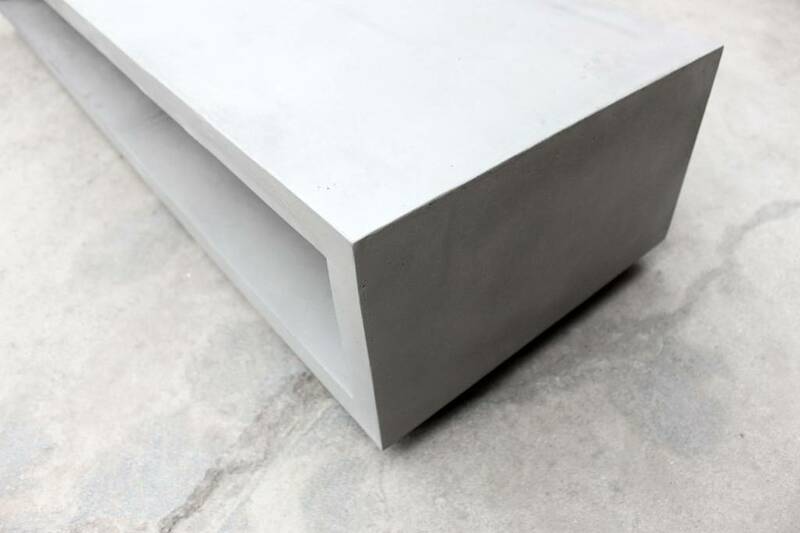 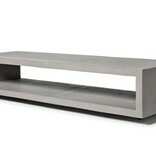 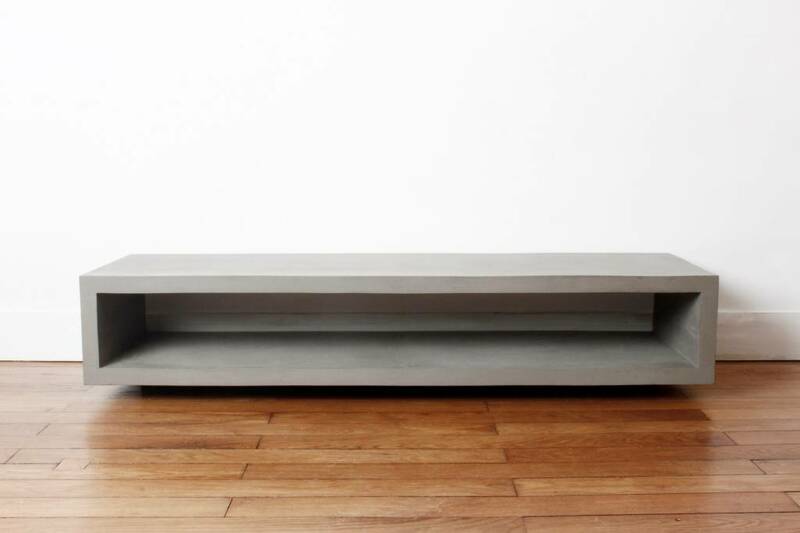 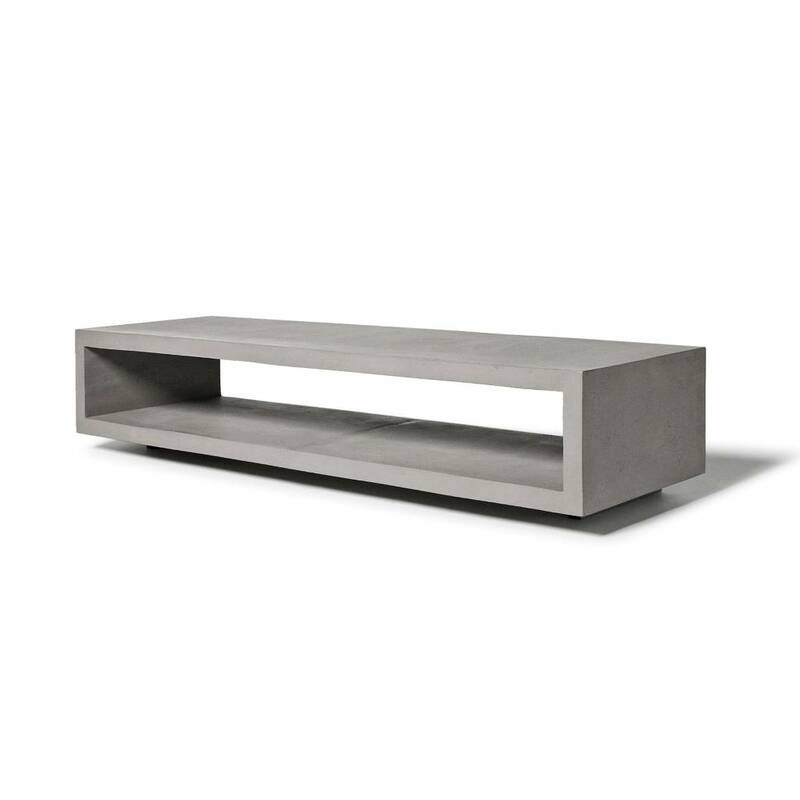 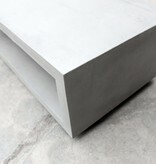 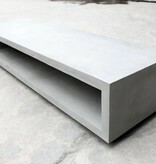 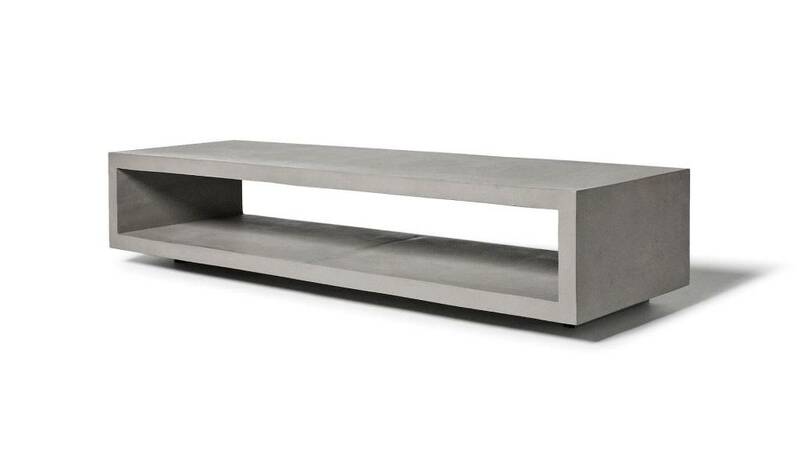 Uniquely designed TV bench in concrete by Lyon Béton, made for your flatscreen TV. 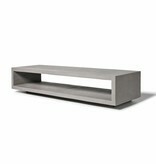 The open middle compartment is ideal for storage and at the same time, lovely designed. 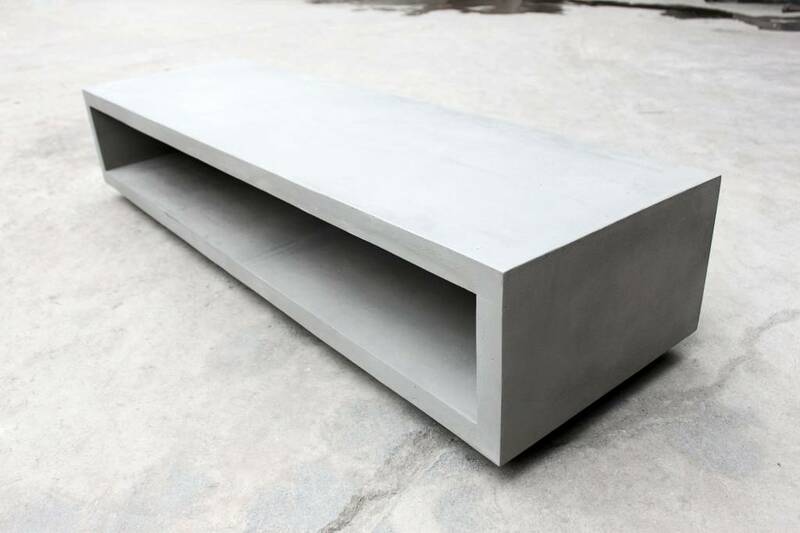 Thanks to the wheels underneat it looks like the bench is floating.